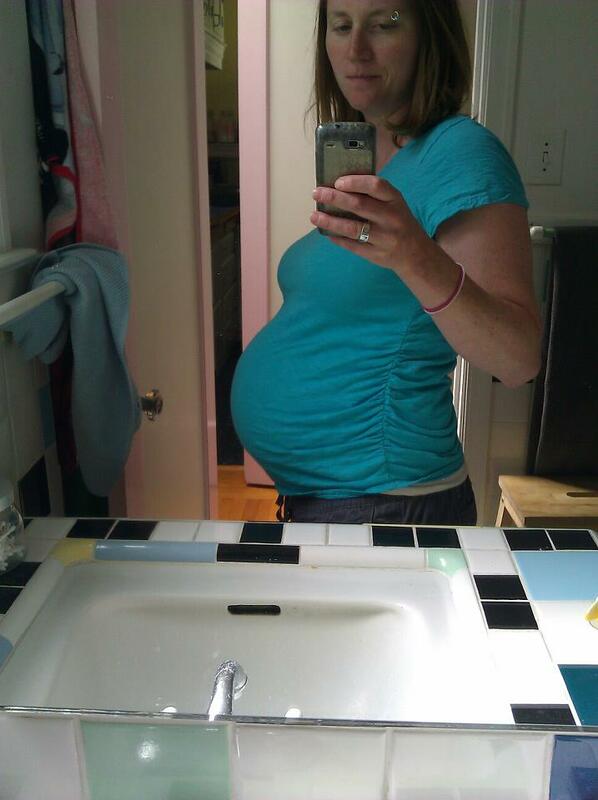 The end of this week marks my official entry into the third trimester of this pregnancy, woo hoo! But, three months still seems like an eternity to me, even when I consider that I’ve already completed twice that. I think it has something to do with the fact that I will be pregnant all summer long. 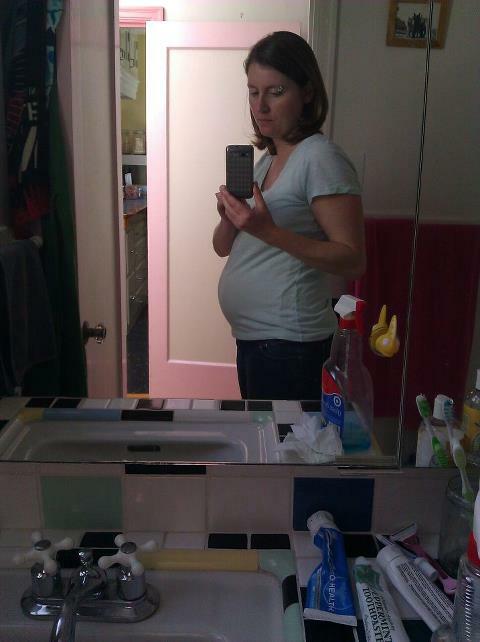 It’s only three months, but the prospect of being pregnant for an entire season is a little daunting. Even when I remind myself I was in fact pregnant for the entire spring. I have a feeling it will fly by though. Or, the teeny, tiny optimist that lives deep down inside of me is thinking it will fly by. There’s a lot of prep work that I’ve been putting off, and we’ve only got three months to take care of it. Taking a hospital tour (because after four years, we need a bit of a refresher course), rearranging our bedroom to fit the little guy in, making sure we have enough for him to wear (I saved a ton of Bowie’s stuff in general, but so very little newborn duds? ), making a game plan for what to do with Bowie while we are in the hospital…and making an attempt at relaxing a bit and enjoying our simple, quiet life before baby is here. I need to apologize for the epic bummer my last post was! Things really haven’t been that bad. I’ve just been really busy. I have to spend all of my available afternoons at preschool instead of my one required work day afternoon, shadowing Bowie and helping to be his “guide”. Basically, they need an extra set of hands to help redirect him when he feels cornered or stressed out. Which is often. So, my lovely child-free afternoons where I can float around light as air from errand to errand and get everything done have been relegated to rushed mornings where I have to drag Bowie along on every errand, and not all of them get done. We’ve heard back from the occupational therapist: both she and our preschool director see clear evidence that Bowie has some sensory processing difficulties, and she has suggested that we have some therapy sessions over the summer. When the preschool director first asked that I meet with someone, I felt intimidated by the whole prospect of Bowie needing an occupational therapist, but now I just feel relieved. I’m relieved that there’s a legitimate issue there that we can put our finger on, finally, and that we can specifically target to help him and to help us better survive an average day. I’ve already started to learn how to help him avoid triggers and how to help him cope after an outburst and use words to tell me how he felt. I know that with the help of someone who deals with this professionally, we can figure this out. Bowie has been having his good days and his bad days, and sometimes I look back at the end of what I would call a “bad” day and realize that in reality it was just a few bad moments, and we trudged through. Overall, things have been good lately. Bowie is happy to sit and have long conversations about what we will name baby brother, what kinds of games he will play with baby brother and how he will show baby brother how to be a big boy. He’s super excited to turn four (tomorrow, OMG!) and become a big brother. There’s a quote floating around on Pinterest right now, “Someone else is happy with less than you have.” I try to remind myself of that every day. Life is tough sometimes, but that doesn’t mean we can’t still smile and find the silver linings. Thanks everyone for all of your support. So, I’m 20 weeks pregnant now. Halfway from here to there. Usually, being halfway there is a big motivator for me, like with road trips, tests, Mondays, etc. 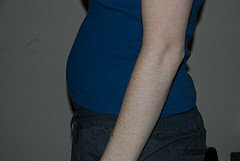 Pregnancy brings a bit of the pessimist out of me. “You mean I’m only halfway there? !” But, exciting times anyway. I think I’m just getting antsy because now I know I have another little man on the way, and I want to meet him as soon as possible. As you saw from my last post, I’ve had the 2nd trimester ultrasound, and things look great. We’ve got a happy, healthy, ACTIVE baby boy coming at us this fall. This ultrasound was a gigantic leap for me as far as feeling comfortable with this pregnancy and getting some confidence that things are ok. The ultrasound technician kept saying how great things were looking. And during the ultrasound, baby turned his face right to the screen and yawned. Our hearts very nearly exploded. I’m feeling so much better now, not completely free of anxiety but definitely better than I was. Wowza. 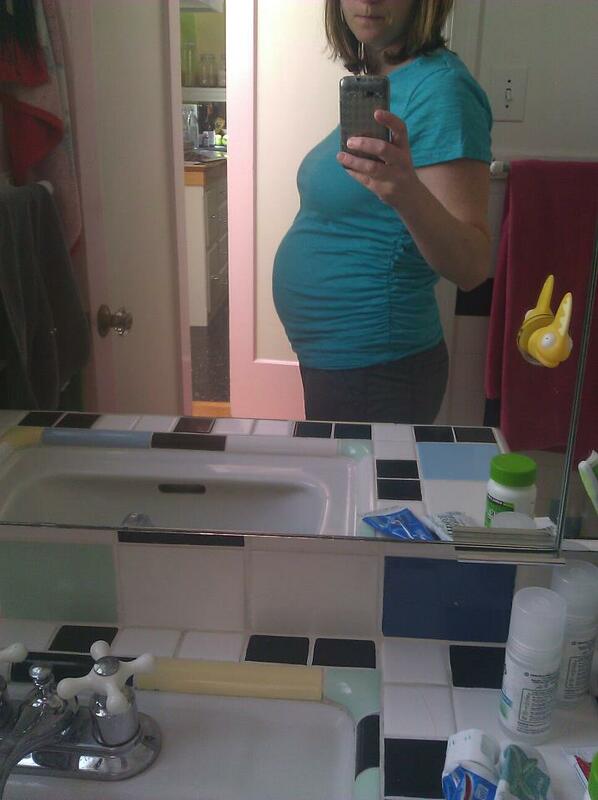 But, even though I feel huge and I’ve started waddling already, I bear the belly with a lot of pride. I feel like I’m more confident with my body, somehow. And, now my “with child” state is more obvious to the general public. Which is nice, no more sideways glances from people assuming it’s more a case of “fries with that”. But, I forgot about all the questions! My goodness! (I’m talking about strangers here. If we’re acquainted in the slightest, I really don’t mind. But, standing in line together at Target does not make us “acquainted”.) Is it your first? How far along are you? Is it a boy or a girl? Where are you having him? Will you have an epidural? Was he planned? These questions might not bother everyone, but I’m kind of a private person, and sometimes just don’t want to answer. And it doesn’t help that no matter the question, no matter your answer, unsolicited advice is sure to follow. And unsolicited advice, especially bad or judgmental unsolicited advice, is a bit of a pet peeve of mine. And the touching. Come on people. If we’re friends or family, rub the tummy, rub away. But, if we’ve never laid eyes on each other before, I beg of you, keep your hands to yourself. I’m uncomfortable when a stranger touches my ARM. I’ve read articles suggesting I should just relax and not get so uppity about it, but it’s a stranger. Touching me. Pregnancy doesn’t erase one’s sense of personal space. Okay, pregnancy griping over. I must be hungry (again). Halfway there. Whew. Here’s hoping for a very quick next 20 weeks. As I mentioned in a recent post, when I was pregnant with Bowie, sugar was the name of the game. 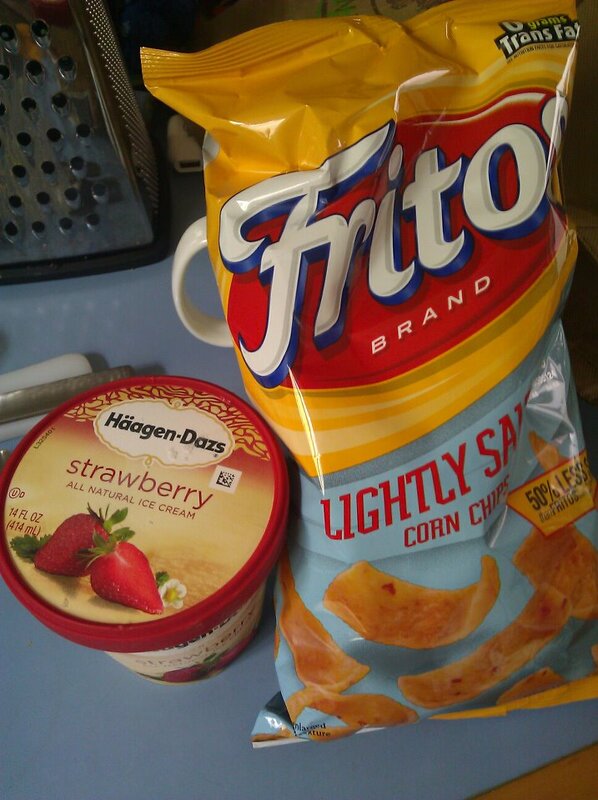 I didn’t really crave anything specific. As long as it was fattening and full of sugar: full steam ahead. I was pounding the brownies, cupcakes, ice cream, Milky Way bars, and when I decided I needed to eat “healthy”, more often than not fruit and/or fruit juice were involved. Still sugar. Nature’s sugar, but sugar. But, less cravings for sweet this time. People are always assuming I’ll attack the cupcake plate, but really, most times, I really don’t want to. Which means this baby will be really different from Bowie, right? RIGHT?! I’ve also been partial to deli turkey sandwiches. And deli meat is one of those mega pregnancy food no-nos, so I get a heaping helping of guilt trip with my sandwiches, THANKS A LOT PREGNANCY BOOKS. I think it’s a protein thing? I typically don’t crave meat of any type, let alone salty, smoky cold cuts. Mmmm, salty. In writing this I may or may not be setting myself up for needing a turkey sandwich for lunch. One thing that’s a lot different this time around: I can’t really eat much in one sitting. 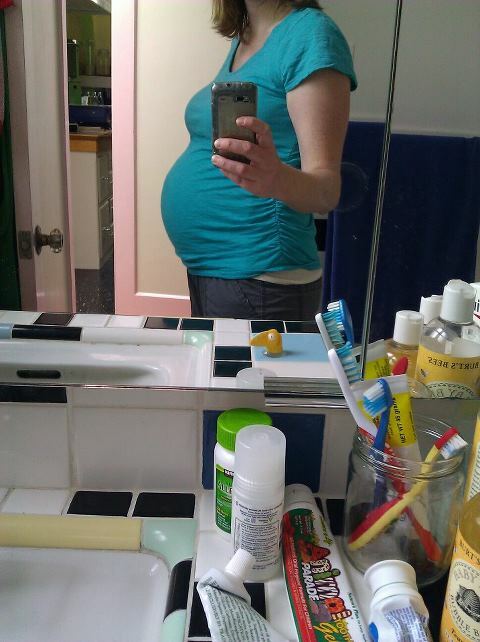 I’m past the morning sickness phase and still awaiting the fetus-is-crowding-my-stomach-like-whoa phase, so I don’t know what gives. But, I have had to cut way back on portions, even of my absolute favorite foods of all time ever. If I eat too much, I feel really sick and just generally uncomfortable. And turned off of food. At least for an hour before I’m hungry again (and what the H, I don’t remember the constant hungries striking this early) (although somebody remind me that I’m already almost 4 months along). What did you experience when you were pregnant, food-wise? Was it different for different pregnancies? Any of this sound normal and ok, or am I just a crazy lady?